Vienna is for sure one of the most various, biggest, musical and interesting cities in Austria. 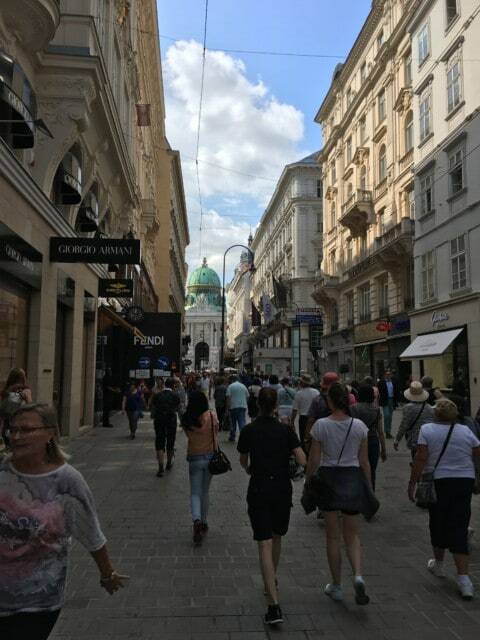 As the capital of Austria it has at the moment almost 1,9 mil residences, it is the biggest city of Austria and almost 1/4 of the inhabitants of Austria live in Vienna. 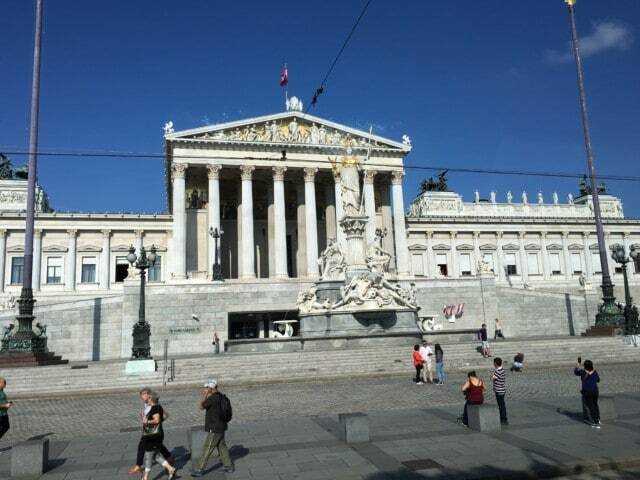 It is the cultural, economical and political center of Austria. Apart from being the City of Music, it is also considered to be the city of dreams since the psycho analytic Freud lived and worked in this town. Vienna is known for it’s quality of life. Since 2005 it has always been in the top 3 ranking of one of the most “alit of Life” surveys and was also ranked by the economist Intelligent Unit as the second most livable city in the world. The reason is very simple explained: You will find Vienna as one of the most “green” city, with lots of parks, lots of wood and is surrounded by the “Wienerwald”, the viennese wood that also used to be the hunting area for kings and queens. One of the most important part is the drinking water quality of Vienna. Every now and then you will find free water supplies. The water comes from the nearby “Semmering” mountain area and support’s Vienna with fresh mountain water. This is also the reason why it tastes so well. Working and recreation can be perfectly combined within the city. If you like to go for a walk, Vienna offers a big variety of parks within the city center and even more in the outskirts. If you like to run the parks give a great opportunity, otherwise next to one of the Danube arms. In vienna is more than one river. First of all you have the Wien river, where there is limited possibility to run and cycle. Then you have the danube canal, where you can find also a swimming pool on a ship, bars and lots of young people partying during the evenings, the old danube (very clean and a nature protected area where you can even search for animals that are on a protected list), the Danube and the new Danube. So if this is not enough of water, then there is even the possibility to take a hike through vineyards and nice views over the city from the viennese highroad (Höhenstrasse), next to the Hotel Kobenzl and for miles along the hills. Vienna is also surrounded by vinyards and therefore is one of the only capital cities in the world that produces wine within the city boundaries. With this matter it is a perfect combination of nature, wine, work and freetime. You have to try one of the wines in one of the typically local places the so-called Heuriger. There you can interact with locals but can also enjoy your time with music, nice food and excellent wine. Besides that Vienna welcomes you with the highlights of history, art and music. With most of the galleries in the city centers, it is the art capital of central Europe. Besides that also a lot of history welcomes you in Vienna and for sure not to forget the music. In vienna is every day another concert. 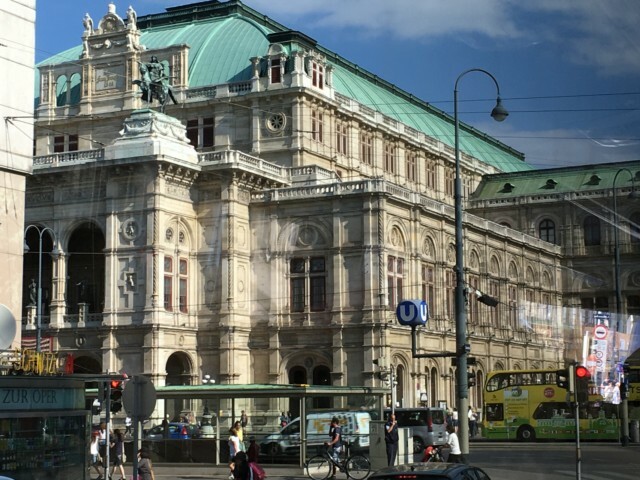 It is just the difficulty of choice because too many choices of high quality concerts, from the Vienna boy’s choir, to the Spanish horse riding schools (with it’s Lipizaner), to the Vienna Opera house, you will find Vienna as the capital of classical music of the world. So why not stay some more days in order to feel the choice of this town. Get information about concerts prior t make sure to have a reservation. Vienna is therefore a highlight of your Europe trip and to see more about this town. The history of this town is so amazing. Once in the 17th century Austria was the biggest country of the world. The Habsburg family ruled over this country for centuries. It was a mix of all different cultures, Slavic, Germans, Italians, etc. and still it worked well until the beginning of the first world war. Sure that in between there were always some rivals and problems but all in all the city was always in the center of the empire and therefore shows also it’s importance in the architectural style, in the buildings and the history that can be found at almost every street corner of the city. The St. Stephan’s cathedral and the cemetery under it’s fundaments where a lot of “ghost stories” took place, to the burial area where the Habsburg’s rulers have been buried (in the Kapuziner Kruft), through one of the most prestigious roads “the Graben”, which used to be once upon a time the middle aged city protection walls to the Hofburg, the imperial palace which was contructed over centuries and hosts nowadays the national library of Vienna, the offices of the Opec, the Sissi Museum where you can find how the emperor and his wife lived in this winter palace and ruled there. Also attached is the spanisch hors riding school, one of the greatest and finest horse training schools in the world. The Lipizaner horses are all white horses and the horse riders are training with the horses for years before preforming in the horse riding school to see what the horses can do and the combination of music. Once upon a time they were the elite of the Austrian Army and showed what the horses can do but soon it turned into a tradition and is nowadays known as the finest school and seen as an art. Also in the Homburg you will find the treasury of the Habsburg empire. The treasury not only hosts the crown of the holy roman empire but also the tooth of St. John the baptist, pieces of the cross of jesus, etc. You will have to see it in order to believe or not to believe and to judge by yourself. But next to the Homburg you will find the two most important museums of the City: The nature museum with one of the biggest collections of nature worldwide and the museum of art. It is one of the most important collection of art in the world and well-known by a lot of art lovers around the world. Do not miss to see also the “Secession”, next to it where Gustav Klimt used to have a work-room there. The pictures of Klimt can be seen nowadays in the “upper Belvedere”, a former summer residence from a nobel person and is just some few stops by streetcar from the famous opera building away. It is always a highlight to see it and to enjoy it because the art and the location is a perfect location. Also Music can be found at all times in Vienna. The greatest classical music composers lived in this town and worked there. Haydn, Beethoven, Mozart, Strauss, etc. all lived and composed in Vienna. Their pieces are played all around the world and some centuries ago it was the capital of music in the world. Still Music plays a very big role in the Austrian history and in the Vienna’s every day life. Operas and classical music concerts take place almost every day. You just have to take a choice which music pleases you most. The locations are all stunning and the quality of music is always on a very high level. But also in a Viennese every day life music plays a role. As a child it is nothing unusual to learn at least one instrument in school and even already in Kindergarten. As a teenager the “dancing school” is taking place, in which manners and classical and modern dances will be tough to teenagers. It is nothing unusually in Vienna and Austria and latest at one of the “Balls” they can perform and dance with everybody. One of the highlights of Vienna is the “Opera Ball” at which the State opera house becomes one of the biggest dance floors in the world and all the VIPS and wannabes of Vienna and Austria will show off and enjoy a great evening. So even nowadays music, dance and art fits perfectly together in this setting of Vienna. Historical buildings are open and just wait to be explored. Even if you do not want to pay entrance fees but just seeing also some of the state offices (which are open to the public) show the old style and history of this city. High ceilings and wooden floors are almost every day. Architectures will be interested in seeing the architectural combination of centuries of different styles all together combined with modern art architecture, and also extravagant architecture, like the architecture of Hunderwasser who created several buildings and sights within the city area but also some classical architectural and Design elements, like the famous chairs of Thonet that can be still found in most of the Viennese coffee houses. The Viennese coffee culture is a culture by it’s own. You will find all different coffees in them, offered mostly by waiters and waitresses all dressed up in black and white. They will offer you the daily newspaper to read there and you will see that when ordering a coffee, you will always get a glass of water. The reason why this water is there, is a bit open of discussions. Some say it is to alway have the taste, like the first zip of the coffee, some say that since coffee dehydrates, you need to drink water and others say that this way the coffee does not taste so strong. But it is a must to try it and you can even then sit in coffee houses where already Freud, composers, politicians and others have taken their coffee. You will be taken the orders by waiter for the drinks and then another waiter passes with cakes to choose from. You have not been in Austria, if you have not tried the pastries, already a famous composer mentioned. One of the most famous pastry is the apple strudel, that can be found all over Austria and the world famous Sacher Torte, which is a chocolate cake with a layer of apricot marmalade (which adds the calories in the cake, since chocolate does not have any calories.). Vienna reflects the Austrian culture very well and shows you how old traditions can be combined and still make workable together. The heritage of the monarchy, the best collections of Art and science and also the amazing music are all combined with nice scenery, architecture and played-back culture in Vienna. No other capital city of the world seems to work well, precise and without all the big stress of capital cities. All this symphony works together. Also because throughout the history it has been always a melting pot of different cultures and ethnical backgrounds and it still works together. Over the history sure problems occurred but now it seems as all of the ethnically groups and different cultures seem to live together in peace and without any problems. Austria is a neutral country and therefore organizations like the United Nations love to be here. Furthermore also other organizations have seats in Vienna because this way they can held they discussions on a neutral ground and can work in harmony together without any politically or other influence. Vienna is nowadays not only the heritage of it’s own history but also a mirror of how this enormous country was all combined in this city. Architecturally, naturally, art wise, music wise and all other forms of expressions. It is also nowadays a symbol of how ethnically groups and cultures can all live in one place and therefore is so much loved by a lot of people and is constantly increasing from the number of inhabitants. It is a perfect harmony of music, culture, palaces, wine, parks and nature. 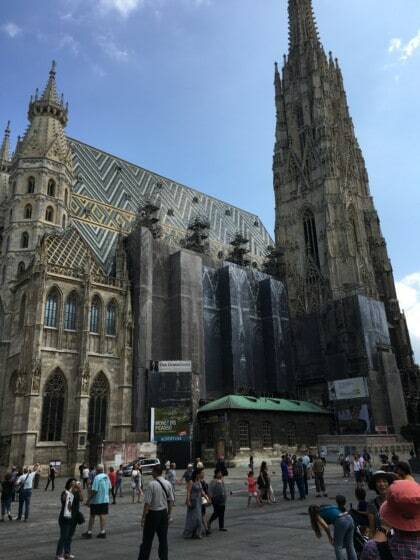 Visit Vienna and learn a lot of this city – history and fascinating stories of music, politics, kings and queens, bishops and vines – b(e)specialtours! 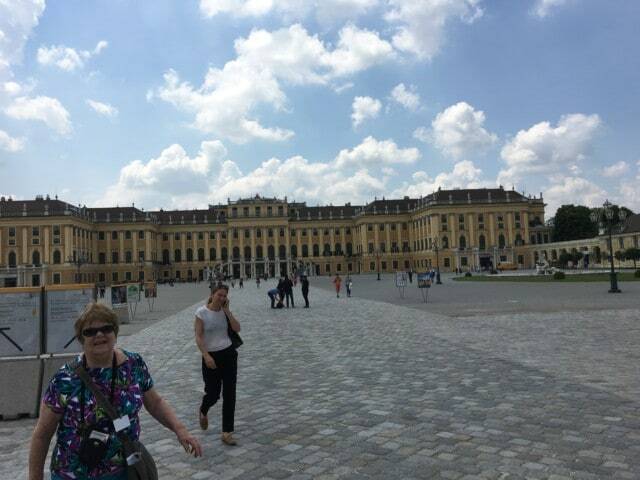 If you want to enjoy some great time in Vienna, book a private tour to Vienna with B(e)special Tours from Salzburg, or arrive directly in Vienna, enjoy a city tour with our comfortable vans, enjoy a guided tour through the town of Vienna and continue a nice drive through Austria. So if you are planning to come to Vienna, or if you want to visit the city of Vienna and the cities along the drive coming from Salzburg then please do not miss a nice ride with b(e)special tours! It is fun for youngsters and the older ones and you can taste a lot of delicious typical Austrian dishes and of course a lot of Beer! Enjoy the fascinating city of Vienna – Vienna and history – with fresh ideas, food and a lots of fun – b(e)specialtours!